It’s a sad day for fans of the hit Showtime series Shameless. 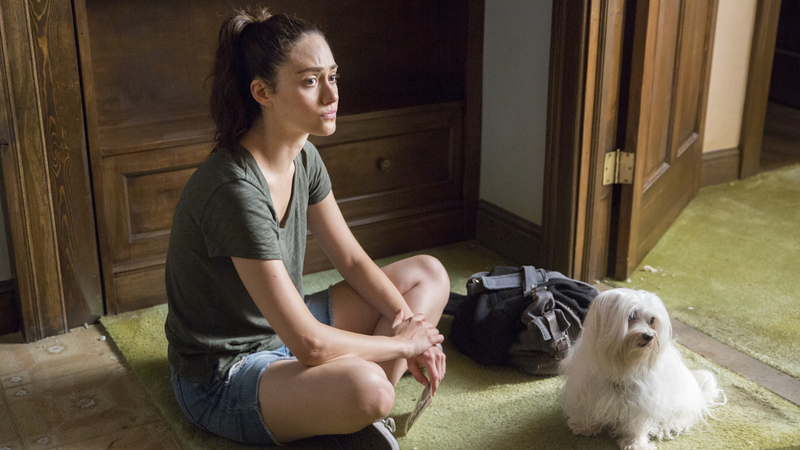 In a long and deeply emotional letter to fans, star Emmy Rossum broke the news that she will not be reprising her role as Fiona Gallagher after the upcoming ninth season. Before we go any further, we feel it’s only fair to warn you that the following excerpts from Rossum’s letter might make you tear up a little. Or a lot. Or bawl. You’ll get no judgment from us. Rossum starts by touching on the typical work life of an actor: one that is constantly in motion. It wasn’t until Shameless, she explains, that she realized she likes standing still. “Until Shameless came into my life 8 years ago, I led that kind of transient wonderful life of an actor. And I never realized how much I actually craved the kind of continuity that this show has given me. And given all of us in the crew. Season after season I’m amazed that our same crew comes back. And it’s not just because it’s a wonderfully written, wonderfully layered show. There are these real connections, real friendships that bring us back season after season after season,” she wrote. Unlike Fiona, Rossum grew up as an only child and craved the chaos inherent in a big family. Being a part of the dysfunctional but fiercely loving Gallagher family has given her that. “There are few characters — female or otherwise — as layered and dynamic. She is a mother lion, fierce, flawed and sexually liberated. She is injured, vulnerable, but will never give up. She is living in an economic depression, but refuses to be depressed. She is resourceful. She is loyal. She is brave. I knew it the second I read the pilot script, this was different, this was special,” said Rossum. Before signing off, Rossum hinted at that proverbial acting idiom, “The show must go on.” Although, as fans, we can hardly imagine the Gallagher world without Fiona in it, Rossum reminds us that there's still much story left for the family to tell. She just won’t be a part of it. BRB, just gotta go bawl our eyes out. It's unclear at this point why Rossum decided to leave the show. As reported by Deadline, Rossum found herself locked in tense negotiations with the production studio prior to the eighth season. Before reaching a settlement that would provide parity for her and William H. Macy, Rossum had been holding out for a higher salary than her costar. On Thursday, showrunner John Wells issued a statement lamenting the show's loss. Hey, at least that means there's a chance Rossum could return in the future. Plus, we still have her final season yet to watch. And happily, she already has her next big gigs lined up. In 2019, she’ll star alongside Liam Neeson and Laura Dern in the revenge action flick Hard Powder. She is also currently attached to a limited series about Hollywood icon Angelyne that Rossum's husband, Sam Esmail, created.